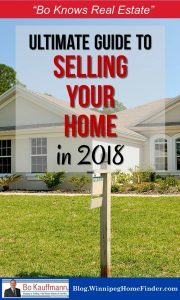 There are many different reasons why you would be interested in selling your home. For instance, you may be interested in cashing out the equity in your property or are looking to downsize to a smaller home or apartment. Whatever the reason may be for selling, it is important that the home presents well if you hope to get the best possible price. Let’s look at all the things that you should consider to get a home off the market quickly and for as much money as possible. 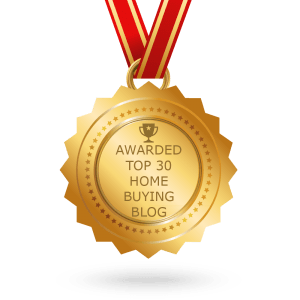 Hire a Listing Agent or DIY? If you decide to sell the home yourself, you could save the three to six percent commission check that an agent may receive after the sale closes. However, it may also take more time to sell a house by yourself, and it may be harder to negotiate the best deal. Professional agents have a list of thousands of people who they can contact to create buzz for your listing. Working with a professional may also be ideal because that person will show the house for you and take pictures that can be posted online. This means that you don’t have to take days off from work or miss your child’s sporting event to meet with a prospective buyer. You also won’t be responsible for answering emails late at night or otherwise working around the schedule of an interested buyer. Ideally, you’ll be able to ask a friend of family member for a referral to a trusted real estate agent. Someone whom they’ve used in the past, and who has their complete trust. But what if you can’t rely on someone’s referral? How do you pick from the over 1,000 Listing Agents in Winnipeg? 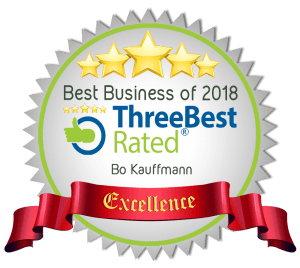 One great place to check is the local BBB (Better Business Bureau) to see the agents who have taken the time to be approved and certified by this trusted and prestigious organization. Another great place to check is google. Google the name of any agent you might have hear of and see what their online testimonials say about them. It may be possible to get information about a person by looking at his or her website or reading that person’s profile on a broker site. It may also be possible to learn more about an agent by reading the agent’s blog or following an agent on social media. You should strive to choose someone who has experience and a proven track record of selling houses in your price range and in your market. Don’t forget that you, the seller, are the boss and should be demanding certain services from your agent. There are a few questions you should ask your prospective agent, and this article lists all of them. The first part of listing your home is taking pictures of it that you will put online or otherwise show to interested buyers. These photos should show off the positive qualities of your home and make it a place where a buyer could see him or herself livings. It is important that you show pictures of the inside and outside of the house so that people get a true sense of what they are buying. When taking pictures of the home’s exterior, be sure that the grass is cut and that the driveway looks presentable as well. Shrubs should be pruned and trees should have any dead branches cut off. If there are any trees or plants that are dead or dying, they should be removed before any pictures are taken. The home’s siding and paint should look fresh and clean. Interior rooms should have as little in them as possible when pictures are taken. This means the kitchen should have nothing but clean counter tops and empty sinks. The floor should be mopped and the refrigerator should have nothing on it. Other rooms should have nothing but furniture in them when pictures are taken. If possible, remove pictures or other graphics from the walls to create a more neutral look. For a complete list of How To Prepare Your Home For Real Estate Pictures, check this article. When preparing your home for a showing, make sure that it is neat and clean. Ideally, you should make it look like it did in the pictures that you took. Furthermore, heat should be turned on to create a cozy and comfortable feeling in the winter or early spring months. The air conditioner should be on if you are selling during a summer heat wave. In addition to making the home feel better, it will show that the furnace or central air units are working properly. Be sure to provide information about the home to anyone who visits. Anybody who visits your home could be a potential referral to a friend or relative who is looking for a home. Providing information about the house may also help a person weigh their options while looking at the property. This may result in an offer being made on the spot. When selling your home, should you bother with an Open House? This is a very contentious issue, open for debate. Private Sales companies hang the majority of their marketing plan on this one tactic. Most real estate agents know the facts: It takes about 400 visits to generate one offer (according to the National Association of REALTORS). In the end, it is something the seller should discuss with their listing agent. Getting an offer to buy the house is the reason why your are selling your home to begin with. However, it is important to know how to evaluate any offer that you receive. In a down market, it may not be possible to refuse an offer just because the buyer wants to pay less than the list price. In a seller’s market, you may only want to take offers from those who are serious about following through on it. While ‘money talks’, there are several other important factors in an offers, such as deposit, possession date, home inspection request and other conditions. If you have a listing agent, he or she will help you review any offer or offers that you get. This may make it easier to accept the one that makes the most sense in your given situation. Furthermore, your agent will work on your behalf between the time that that offer is accepted and the deal closes. Therefore, you don’t have to worry about what happens if the buyer makes demands or tries to force concessions that you aren’t comfortable with after making an offer. When selling your home, it is your goal to get the house on and off the market as soon as possible. Doing so can help you get the price that you want and move on to your next destination in a timely manner. To accomplish this goal, it is important to work with qualified professionals who can guide you through the process of preparing your home and yourself for the day when the property is no longer yours.